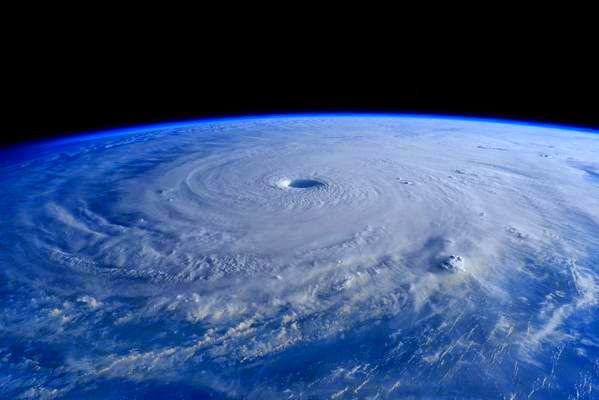 MANILA, Philippines - The state weather bureau PAGASA on Friday morning, April 3 raised Typhoon Chedeng ( international name Maysak) Storm Signal No. 1 over Catanduanes and Camarines Sur. View the latest weather update here. The storm warning signal PSWS#1 (Winds of 30-60 kph is expected in at least 36 hrs) has the following possible impacts: twigs and branches of trees maybe broken, some banana plants may tilt or land flat on the ground, rice in flowering stage may suffer significant damage, some nipa and cogon houses maybe partially unroofed and sea travel of small sea crafts and fishing boats is risky. PAGASA added that Typhoon 'Chedeng' has weakened slightly as it moves towards the Eastern Coast of Central and Northern Luzon. At 10:00 AM today, the center of 'Bagyong Chedeng' was located based on all available data at 700 km East Northeast of Virac, Catanduanes or at 950 km East Southeast of Casiguran, Aurora (14.2°N, 130.7°E). 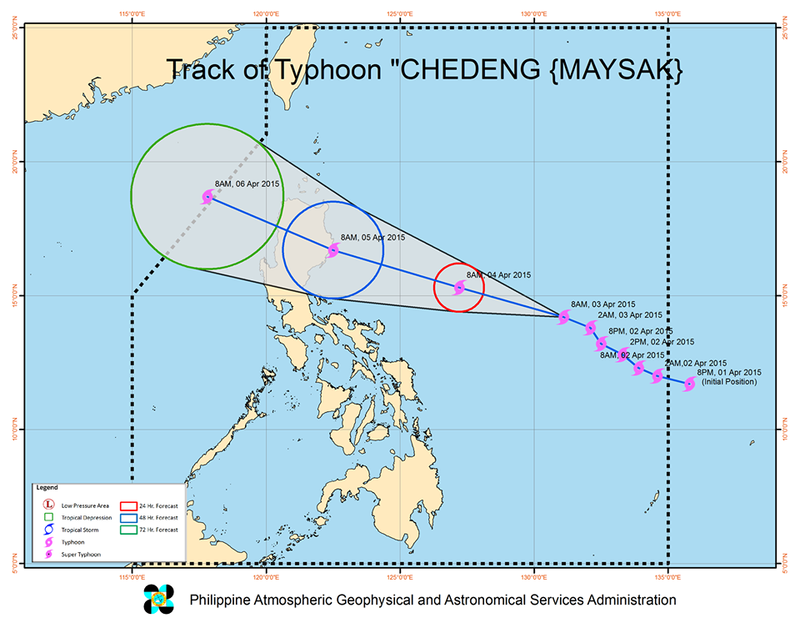 'Chedeng' has maximum sustained winds of 150 kph near the center and gustiness of up to 185 kph. It is forecast to move West Northwest at 17 kph. 'Chedeng' is estimated to make landfall over the coast of Aurora-Isabela area by Sunday morning (April 5) , will exit the landmass via Ilocos Sur by Sunday evening (April 5) and will exit PAR by Monday morning (April 6). 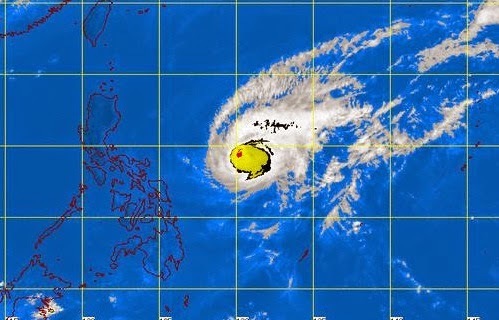 The estimated rainfall amount is from moderate to heavy within the 150 – 200 km radius of the typhoon. Residents in low lying and mountainous areas of the provinces with PSWS#1 are alerted against possible flashfloods and landslides. Storm surges and sea surface waves of up to 2 meters are possible over the eastern coast of Aurora, Quezon and Isabela. Fisher folk are advised not to venture out over the eastern seaboard of Aurora, Quezon, Bicol Region and Visayas. It is advised to refrain from outdoor activities particularly along beaches of the eastern section of Luzon starting Saturday.